Choosing a professional Carpet Cleaner in Tampa FL can be difficult, but with the right questions you can find a quality cleaner at a reasonable price. Asking the right questions can easily tell you what you need to know and determine if you have found the right one for you. Getting a reasonable estimate over the phone is a great way to start the decision making process. Most of us choose our carpet cleaner based on cost. Keep in mind that a quality carpet cleaner will charge $35-$50 per room for cleaning services. If they charge $19 a room or less, they’re not charging enough to cover the costs of their equipment and labor. They make up the difference by upselling a lot of unneeded services and usually end up costing you more. Remember that a phone estimate is based off the information you give them. 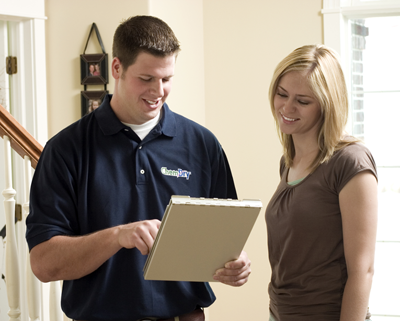 Make sure to give as much information as possible to get a reasonable estimate. · Do you identify the carpet type before cleaning? · Do you dry vacuum before steam cleaning? · Do you have a truck mount system? · Do you have a solution for Allergy sufferers? · Do you sanitize carpet? · How long will my carpet be wet? · Do you guarantee your cleaning? · Do you do have specialized spot removal? · Do you do upholstery? · Are your cleaning solutions safe? · What is the active ingredient in your cleaner? · How much do you charge for cleaning? Some of these questions seem like common sense, so they should have no trouble answering them. In Tampa FL you find a lot of sand in the carpet so a regular dry vacuum is a must before any steam cleaning is started. The Carpet and Rug Institute (CRI) highly recommends all professional cleaners dry vacuum at the start of every cleaning job. Identifying your carpet type is also an essential part of a good cleaning if a carpet cleaner can’t tell you what type of carpet you have don’t let them clean your carpet. After you’ve called at least 3 carpet cleaners make a decision on who to schedule for in home evaluation. A quality professional carpet cleaner will ask you questions about your carpet, like: the age of the carpet, carpet usage, about kids and pets, allergies, and if you have any concerns? Once all the necessary information is gathered a professional cleaning recommendation should be given. A quality carpet cleaner will recommend services that you need and let you know what services you don’t need to spend money on. The most important thing is that you are comfortable with the carpet technician as a competent cleaner and feel you are going to get what you’re paying for. For Quality Carpet Cleaning In Tampa FL Call Chem-Dry of Tampa.